How’s an SEO Product owner’s workday? You will be responsible for the overall SEO activities (onsite/offsite). Your main focus will be to grow products by setting out the strategy and executing accordingly. You’ll be part of the organisation but will be able to work remotely with periodic visits to the company’s HQ in Malta. We’re looking for experts that tell us what to do, not the other way around. Join the team and enjoy working from anywhere in the world. The only thing that matters is results. If this intrigues you, let’s talk! Optimizing sites for search engines, mainly Google. Analyse web traffic and act on patterns. Support traffic – and link acquisition initiatives. Creating, maintaining and monitoring Keyword lists. Set the onsite SEO strategy, per site per product. Advertising on third party sites. Manage all risks within the complex field of SEO. Securing the product’s competitiveness within SEO (Onsite & Offsite). 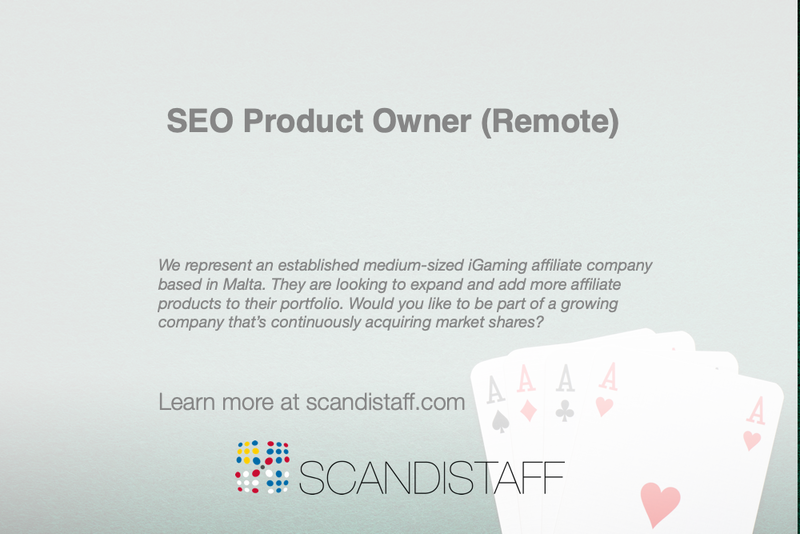 Who is our new SEO Product owner? We believe that the ideal candidate should have years of SEO experience (preferably in the iGaming industry), willingness to work on own initiative, hardworking, and getting things done with a DOor DIEmentality. Minimum 5+ years’ SEO experience. Highly knowledgeable in technical on-page and off-page SEO. Initiative-taking and hard-working with a strong determination to succeed. Fluent in English, any other language(s) is considered an asset. Do you want to be the SEO Product owner?